North America's largest cross country ski resort, Royal Gorge provides about 120 miles of groomed skiing terrain. With 65 trails, this popular snowy playground offers numerous options for winter adventure, including winter biking, snowkiting and snowshoeing. Guests can also book clinics, lessons and rentals at one of the most guest-friendly ski resorts in the country. 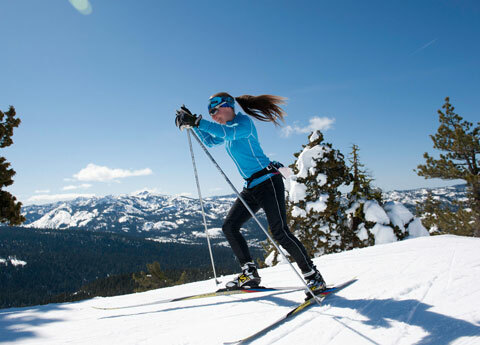 Located within minutes of Royal Gorge Cross Country ski resort, Donner Lake Village is the perfect place to base your skiing adventure. It's also an ideal place to relax in a serene environment that offers incomparable scenic beauty. Season passes range from $279 to $329. For pricing on daily tickets, visit www.royalgorge.com/tickets. Royal Gorge is open for skiing between 9:00 a.m. and 4:00 p.m. daily. Similar to water-based kiteboarding, snowkiting is a type of snowboarding or skiing, which relies on kites to tap the wind for power. Does Royal Gorge provide lessons? The Sierra Snowkite Center offers snowkiting lessons with the purchase of trail passes or season passes. For more information, visit www.sierrasnowkite.com.